10X KRB-IBMX Buffer solution is recommended for use in the preparation of cells (either suspension or adherent cells) intended for cAMP analysis using either Mediomics’ Bridge-ItTM cAMP designer fluorescent assay or Bridge-ItTM cAMP all in one fluorescent assay. While the 1X balanced salt solution KRB serves to provide cells with water and essential inorganic ions to maintain pH and osmotic balance, the IBMX is a potent phosphodiesterase inhibitor that will block the degradation of cAMP. 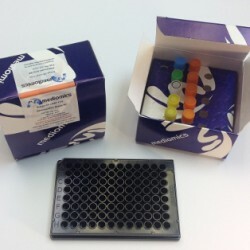 The Bridge-It® cAMP assay is highly specific assay to quantify cAMP in stimulated cells. ATP, AMP, and cGMP have all been tested for selectivity using the cAMP assay. No response was detected using the Bridge-It® cAMP assay with any of these compounds within the concentration range that is expected in biological samples (i.e., millimolar range for AMP and ATP, and micromolar range for cGMP). 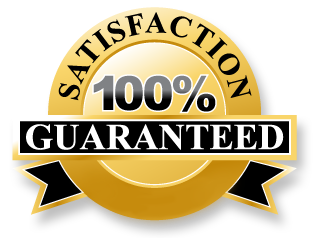 An all-in-one solution is added to activated cells and incubated for 30 minutes. 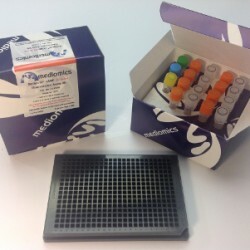 Clarified lysate samples are transferred to a black 384-well microplate to read the fluorescence signal. 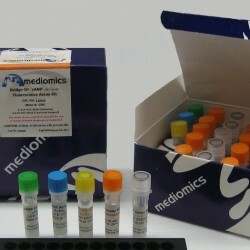 The Bridge-It® cAMP assay is a highly specific assay to quantify cAMP in stimulated cells. ATP, AMP, and cGMP have all been tested for selectivity using the cAMP assay. No response was detected using the Bridge-It® cAMP assay with any of these compounds within the concentration range that is expected in biological samples (i.e., millimolar range for AMP and ATP, and micromolar range for cGMP). 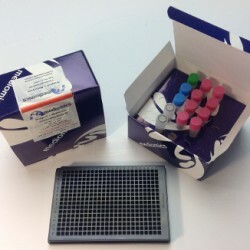 An all-in-one solution is added to activated cells and incubated for 30 minutes. 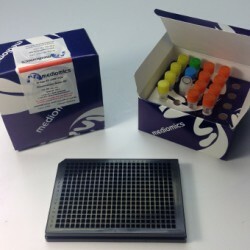 Clarified lysate samples are transferred to a black 96-well microplate to read the fluorescence signal.